← Will the reform of FOIA create empty archives: The myth, the threat, or the reality? Empty Archives: hollow men and the fear of accountability? In their recent visit to the Justice Select Committee Lord O’Donnell and Lord Hennessy talked about the possibility of “empty archives”. Lord Hennessy mentioned that Cabinet minutes were not as explicit as they were in previous generation. He said that the problem had been gradual, starting mainly after the Second World War, and becoming more noticeable with each successive cabinet. Lord O’Donnell focusing on contemporaneous events noted that one source of the “empty archives” was the fear of disclosure from Freedom of Information Requests meant Ministers were concerned about what was being recorded at meetings. To illustrate the point Lord O’Donnell said that when the coalition between the Conservative party and the Liberal Democratic Party was taking place, one of the politicians turned to him and asked “Is this FOIAable?” (That is, could this be requested and disclosed under the Freedom of Information Act?) To which he replied “Yes”. The politicians worried if a civil servant were present, they would take notes on all that was discussed and agreed. Lord O’Donnell stressed (incorrectly) that any possible exemption to disclosure was subject to public interest test and if the public interest test were found to favour disclosure, it would be disclosed. Moreover, he appeared to misunderstand the role of the public interest test when he kept arguing for it to be removed so that all the “grey areas” were taken out of FOIA. By contrast, he wanted a principle based system so that all parties could be clear about what was or was not to be disclosed. What he failed to realize is that the public interest test, the grey bits, is a principle based decision system. Instead, what he wanted was to be able to argue from authority, which is traditionally one of the weakest forms of arguments and for deciding something. At the same time, Lord Hennessy’s remarks about empty archives suggested that ministers feared history. The contrast with Churchill, who was not fearful of his place in history, illustrates this point. He wrote his own history to make sure of what history would say about him. When compared against him, today’s ministers appear as hollow men. They appear empty of authentic experience and meaning. As such, they seem filled by whatever their public relations handlers recommend. Their concern with immediate disclosure means that they act and work in ways to avoid accountability. The short-term political discomfort creates a larger problem. The danger is that their actions will lead to empty archives. They will leave the country without a memory, without an institutional conscience. Without such a historical memory or conscience, our perspective on current events is shaped by yesterday’s headlines and not the judgement of history. Contrast that with the colonial governors and the Foreign Commonwealth Office retained the archives from colonial out stations. One wonders if civil servants and politicians today would record let alone keep such information today. One can see that history explains the problem of hollow men and empty archives. The politicians since the Second World War are living in history’s shadow. They appear hollow when compared against those who created the modern British state. Like any who have followed founders of states, of new modes and orders, they seem smaller and less consequential. History challenges them to find a role in that shadow. In time, they create their own history. For a few, they shape their own history. Surprisingly, or interestingly, one could include Tony Blair as one who has shaped his own history. As Lord Hennessy said, incorrectly, Blair took the nation to war. Lord Hennessy is incorrect in that the UK did not declare war and was not at war in that strict, but very important, sense. Instead, Blair (through delegated authority) sent British forces into combat operations. Although Lord Hennessy’s poor grasp of war powers and the awesome power of declaring war is the subject for another blog, it does contain an essential truth. Blair wrote his own history, cast his own shadow, (like Thatcher before him) by sending troops into combat. He may have known this consciously, if only because of the importance, and he would have understood is sub-consciously. As combat in Iraq writes his history, it becomes understandable why he would hate FOIA with the passion he has displayed for it. The Act does allow the public to dissect decisions. They can see the context for that decision and not waiting for it be sifted through institutional memories. Contemporaries would have had to rely on their memory, or limited access to official papers, to write the history. The public can access the information instead of having their memory and their history shaped mainly by media accounts. Such public scrutiny is something historical figures, Churchill, Thatcher (with perhaps the exception of Eden) have not faced. Therein we start to see a reason to dislike FOIA. At one level, a politician can handle the politically motivated leaking that occurs. 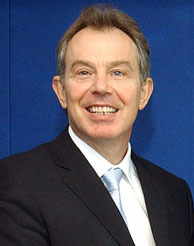 What Blair revealed was the indignation of a historical man feeling the sting of public accountability. Instead of being judged by history, he is being judged by contemporaries. As Lord Hennessy and others have argued, FOIA may allow better understanding of contemporaneous events at the expense of the historical understanding. One wonders why politicians are fearful of FOIA to the point they need to change the way they work in office. Are they so fearful of the media or public attention? Is it that they are no longer ready for the attention or dealing with the public than their predecessors? Is it that they are coming ot office unprepared to resist attention? (I do not mean personal attacks or where families and friends are subjected to media intrusion in the “public interest”). I mean the basic accountability that may occur because of an FOIA request. In this, we may have leaders who are without an understanding of history and their potential role within it. It would also appear Ministers and Senior Civil Servants do not understand the mechanics of FOIA. The requests are known political commodity by the time the information is disclosed. As a request works to disclosure, it is drained of political contentiousness. The organisation has time to prepare itself for its eventual disclosure. Yet, despite this relatively harmless nature of FOIA, it appears disproportionately powerful. The focus of our political leaders appears shortened. Their fear of disclosure and accountability distorts our historical memory. Instead of working within FOIA, they seem to want to avoid it. As a result, their desire to avoid disclosure and accountability creates a historical problem. The country’s institutional memory and the country’s historical conscience are at stake when FOIA is resisted or subverted. Instead of reducing or weakening FOIA, we need to educate Ministers and civil servants to its benefits. In particular, they need to see that their work to avoid it harms the nation’s long term health. This entry was posted in FOIA, Government, statesmanship, transparency and tagged FOIA, Freedom of Information Act, Freedom of information legislation, human-rights, Politics, Tony Blair. Bookmark the permalink. 1 Response to Empty Archives: hollow men and the fear of accountability?